Republican candidate for governor John Cox has criticized his opponents for affairs they had while in office, but court records show he too had an alleged affair. 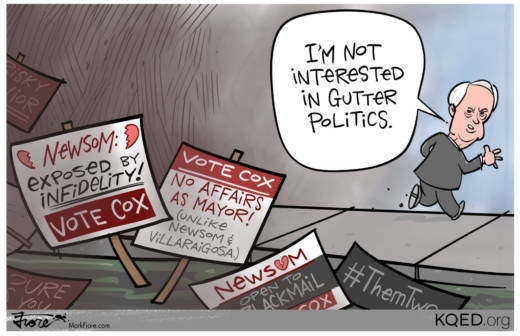 When asked about allegations of an affair, Cox said, “I’m not interested in gutter politics." Cox's first wife, Nancy Cox, stated in court documents that she discovered the now-gubernatorial candidate purchased a home to support another woman and her family.